The Classic style and deep bathing well of the Lacey 6030 whirlpool tub puts it in a class of its own. The Lacey 6030 whirlpool tub has clean lines and elegance in almost any design category. 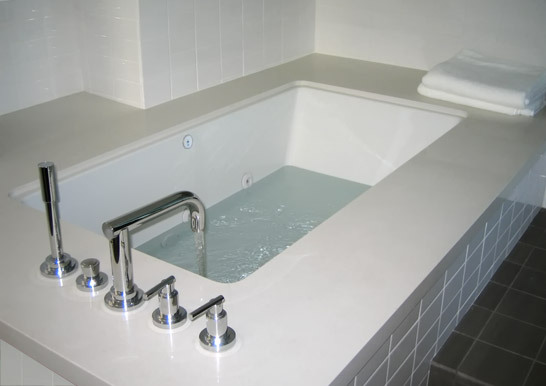 This is a truly luxurious two person jetted tub with minimalist style. Call 800-720-1062 for more details. 30" x 60" x 17"